A different take on the Door Knocker, this look opens things up a little more. If you're up for a unique look, sometimes it's good to think inside the box. 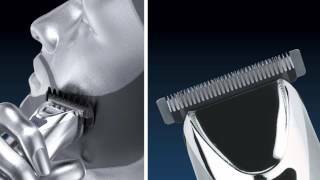 Using your Wahl® trimmer or shaver, shave or closely trim your cheeks, leaving the mustache, chin and area surrounding the mouth untouched. 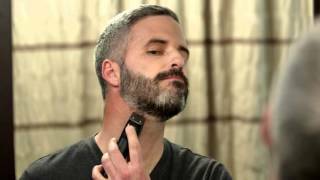 Using your Wahl® trimmer, trim the upper edge of your mustache to create a sharp border, leaving just a half-inch of hair. The hair should create a squared shape from above your lip to your chin. Being careful to keep the Soul Patch just beneath the lower lip, clear the area between the corners of your mouth and the chin, forming a sharp boundary where your chin whiskers begin.